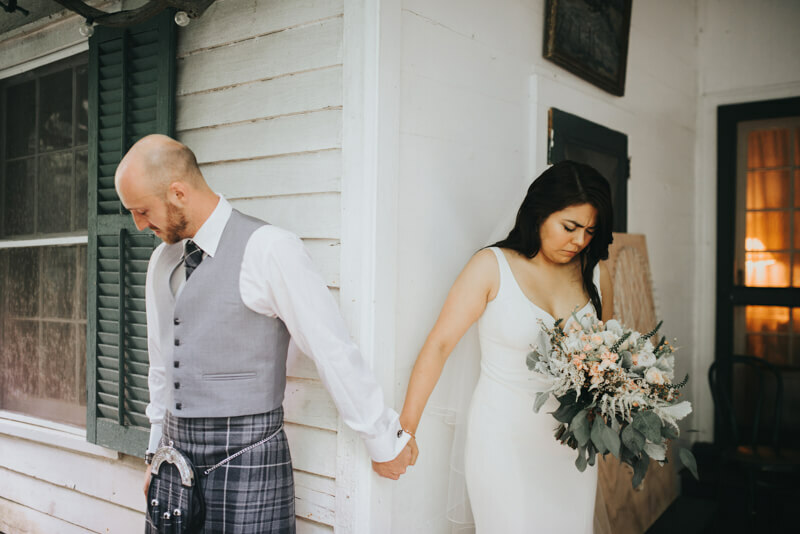 The most beautiful Scottish-Mexican wedding there ever was. 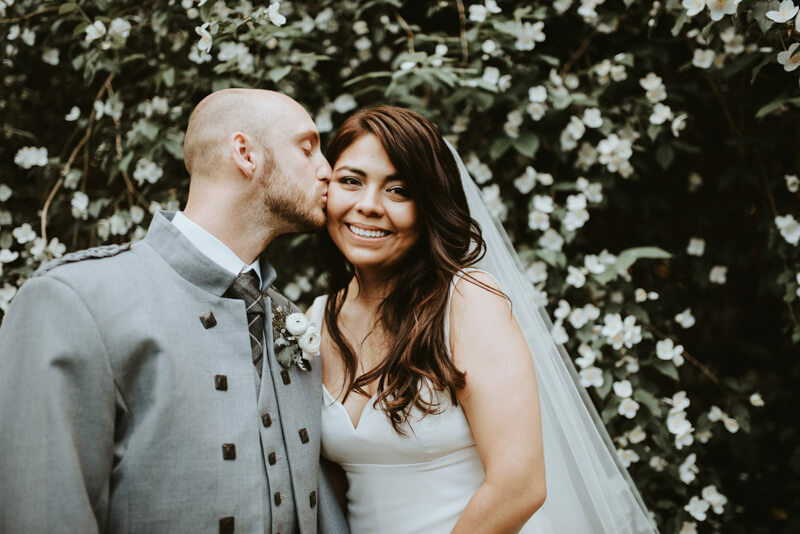 Elizabeth grew up in the States, and Michael came all the way from Scotland to attend Montreat College, where they met and fell in love. 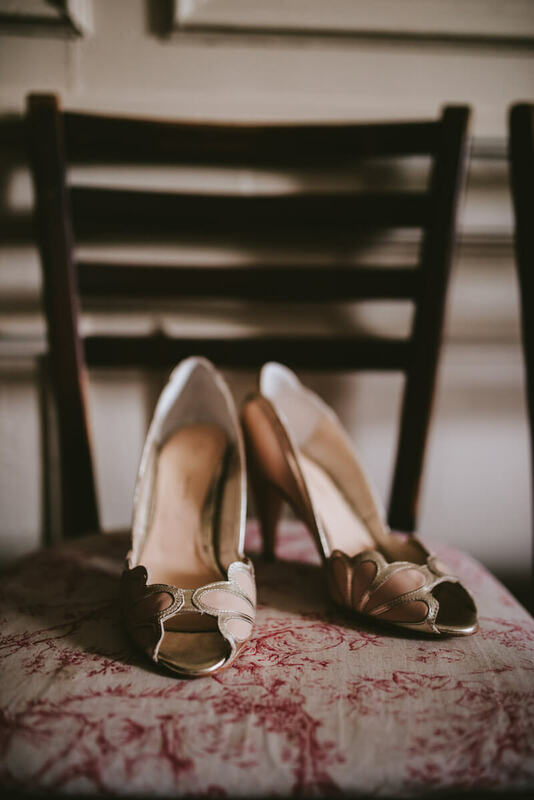 The day's events started in the beautifully quaint rooms of Old Sherrills Inn, where they got ready with their wedding parties amidst vintage wallpapers and furniture. 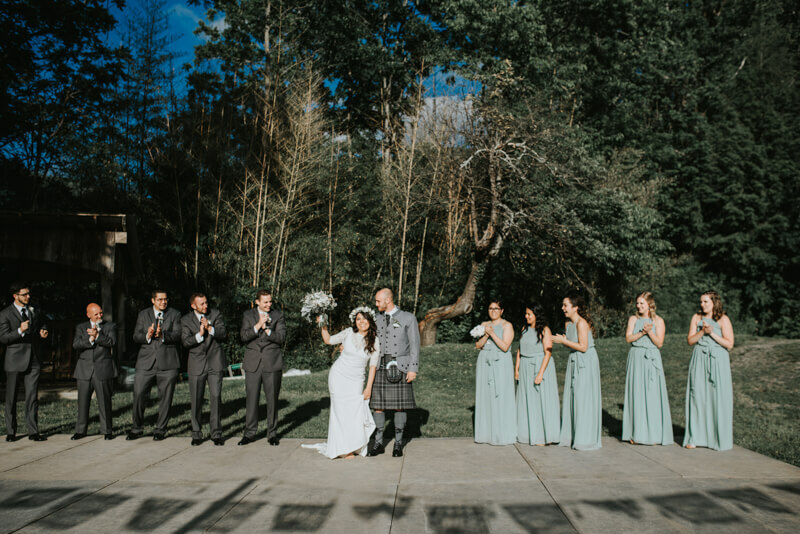 Right before the ceremony, they wanted a quiet moment to pray together and hold hands without seeing each other, setting the tone for the rest of the day. Onto the garden, their wedding was nothing short of inspirational and sweet. 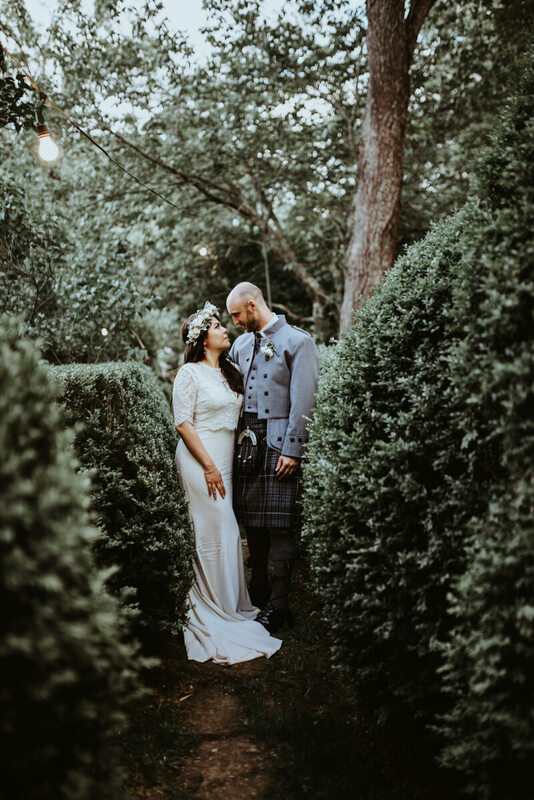 Tucked away from the world on a spring day, in the mountains of North Carolina, they said their vows in front of close friends and family. 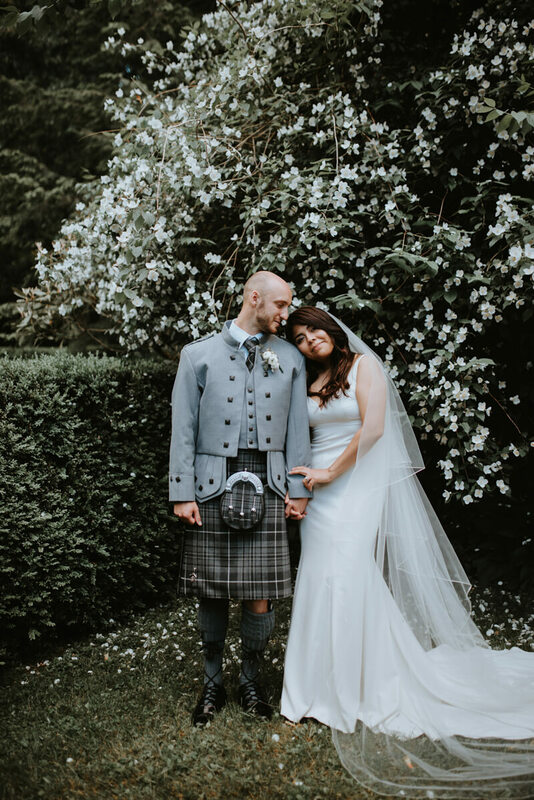 The small, quiet garden surrounded them with lush greenery as they incorporated an intentional mix of their own ceremonial elements, as well as a Scottish tradition. By washing each other's feet, their first act as husband and wife was one of humility and spiritual devotion, which truly defines these two genuine beings. A little ways past the garden was a more open area, where the food and dancing would be. 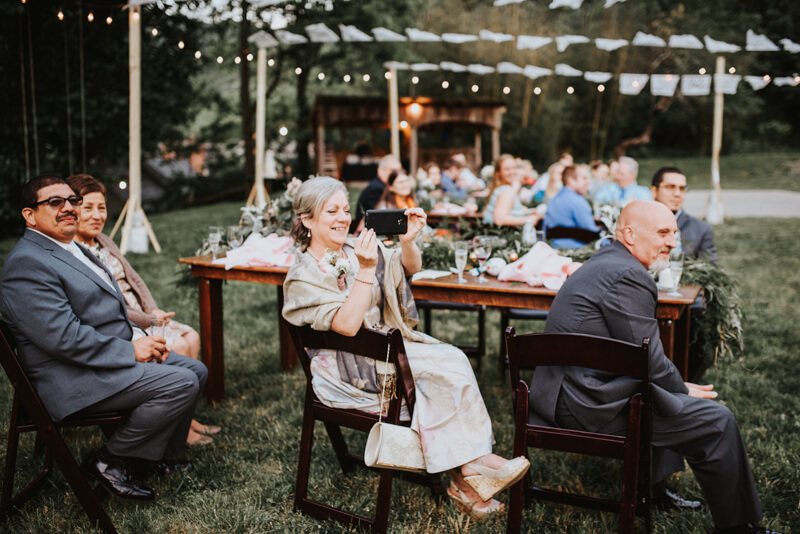 The reception decor was a detailed mix of vintage, multi-cultural and BHLDN inspired amazingness. 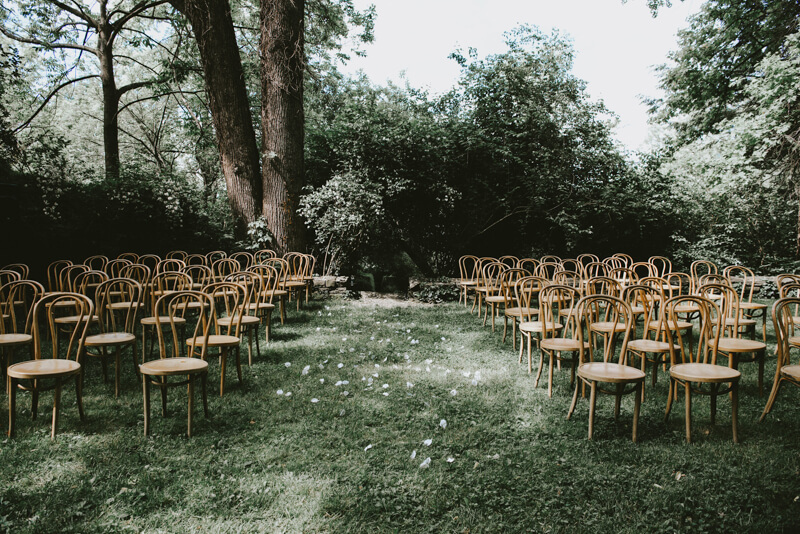 From golden votives, lush florals, vintage sofas, and rustic furniture, it was the perfect way to cap the day in style. Michael's Scottish family crest fit perfectly on the little tags that were used to adorn the hand-painted Mexican maracas. They closed out the night with dancing (maracas included) and a small sparkler send-off into the darkness of a cool spring night.